On February 15, 2012 seven dogs and their owners qualified for their Novice Trick Dog Title through Kyra Sundance’s “Do More With Your Dog”‘s trick dog title program taught by Michael Burkey. Teams had to successfully perform at least 15 tricks listed in the novice program. Congrats to all! Your dog too can become a tricks star dog. 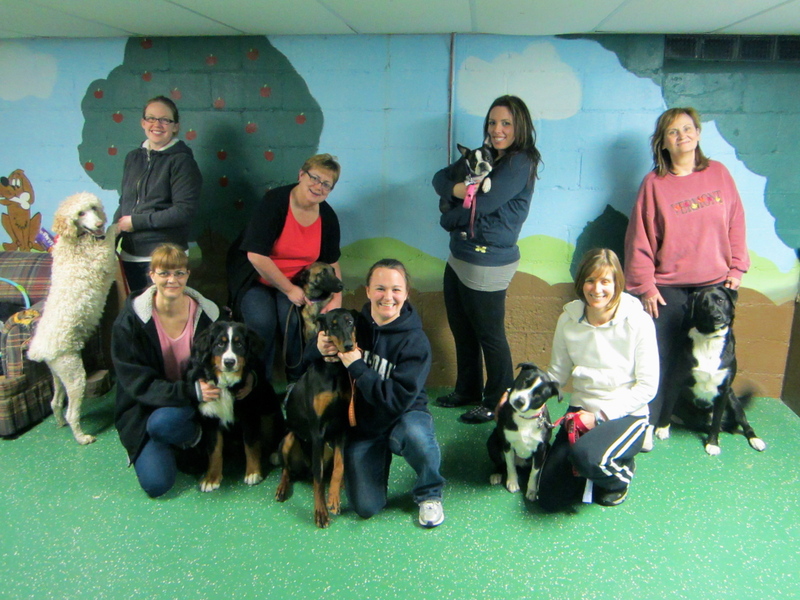 Contact the Michigan Dog Trainer for information as to the next class start date. This entry was posted in Trick Dogs, Uncategorized and tagged Belgian Shepherd Dog, Bernese Mountain Dog, Border Collie, Doberman, dog, Kyra Sundance, Livonia, Malinois, Michigan Dog Trainer, Standard Poodle, trick dog, trick dogs. Bookmark the permalink. This was an awesome class with some awesome students. Thank you Michael for starting this class, Baloo and I look forward to the next one!!! Excellent! It’s a lot of fun teaching this class too because the students and their dogs are awesome. They are committed to “doing more with their dog” and that makes it loads of fun for me to teach.